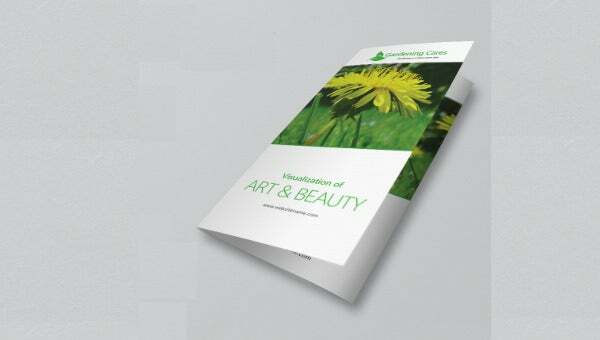 Best suited for gardening business, our brochures can help you get the words about your business to the right audience in just a few words. If any business would choose to create this from the ground up, the design team might spend hours or even a couple of days to get the final design ready. 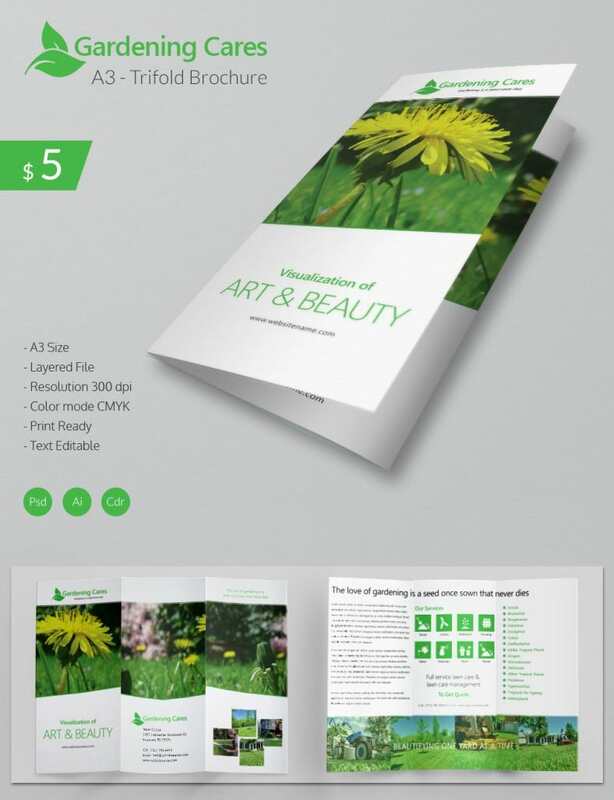 However, because we have already built a perfect A3 Tri Fold Brochure, which is 100% editable by the way, you should not worry about hiring a designer to do it for you. Get this piece at only $5. Features include CYMK color mode, editable text and image areas a high resolution of 300 DPI, and, of course, the file comes in three different formats: Corel Draw, Photoshop Document and Adobe Illustrator. You can use either of these software options to edit the document after purchase.